An invasive species is a species that is not indigenous to the ecosystem under consideration and whose introduction causes or is likely to cause economic or environmental harm or harm to human health. These species can be any type of organism: plant, fish, invertebrate, mammal, bird, disease, or pathogen. 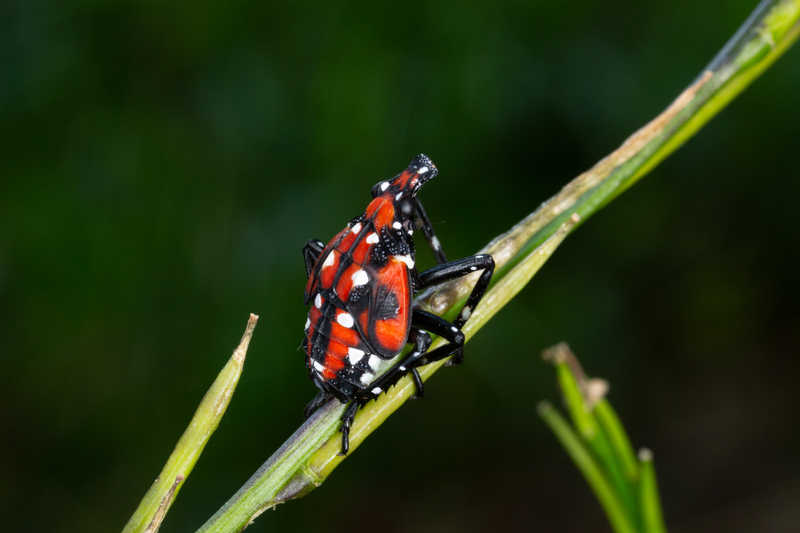 Infestations may not necessarily impact human health, but can create a nuisance or agricultural hardships by destroying crops, defoliating populations of native plant and tree species, or interfering with ecological systems (Governor’s Invasive Species Council of Pennsylvania, 2009). Most new introductions of invasive species occur because of human activity. 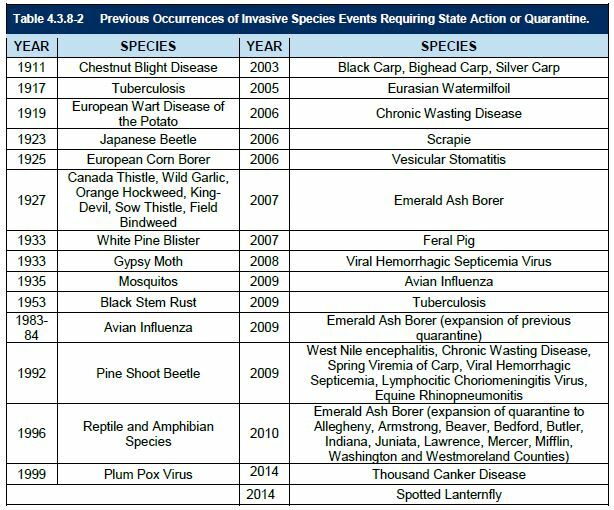 Since the first outbreak in 1862 (Canada Thistle, Johnson Grass, and Marijuana), there have been 26 acts and quarantines enacted to prevent the spread of invasive species. The probability of future occurrence for invasive species threats is on the rise because of the growing volume of transported goods, increasing technology, efficiency and speed of transportation and expanding international trade agreements, as well as more favorable climatic conditions. Spotted lanternfly (Lycorma delicatula) in Pennsylvania, on July 16, 2018. USDA-ARS Photo by Stephen Ausmus.